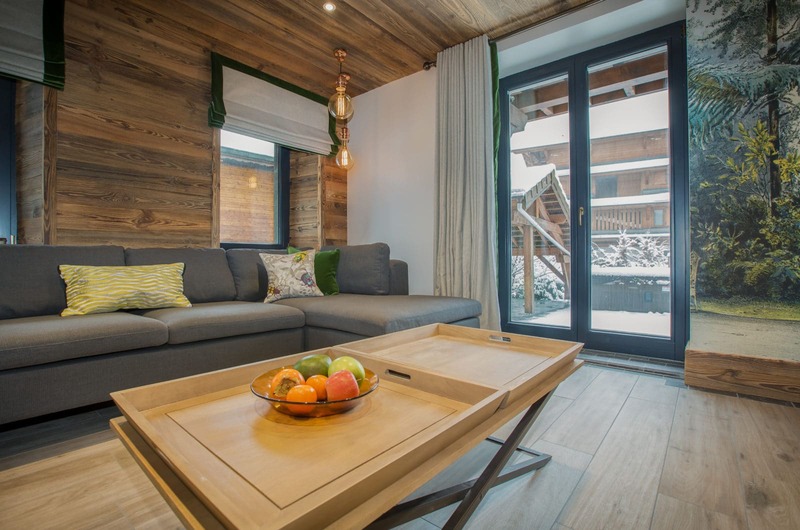 Ferme Colline D’En Haut is the new upper floor of our popular Ferme Colline, an historic chalet in the centre of Morzine. 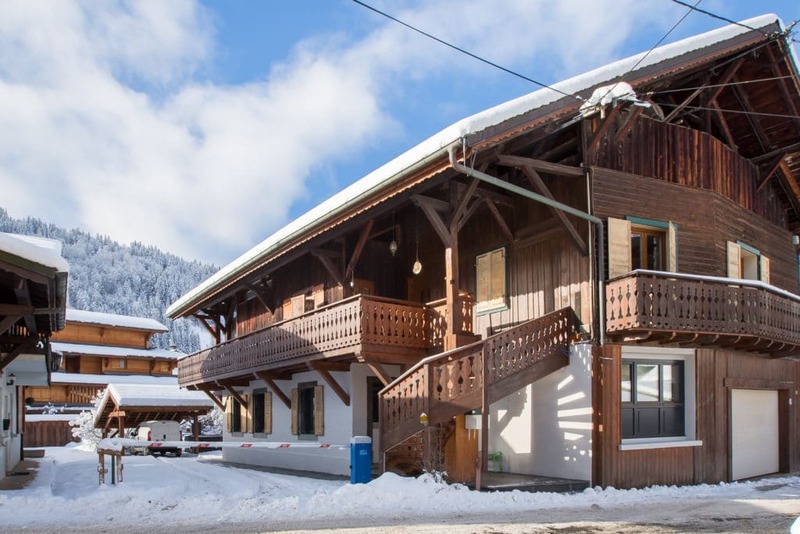 This 190m2 self catered apartment has the perfect location, with restaurants and bars on the doorstep and both main ski/bike lift stations just 5 minutes walk away. 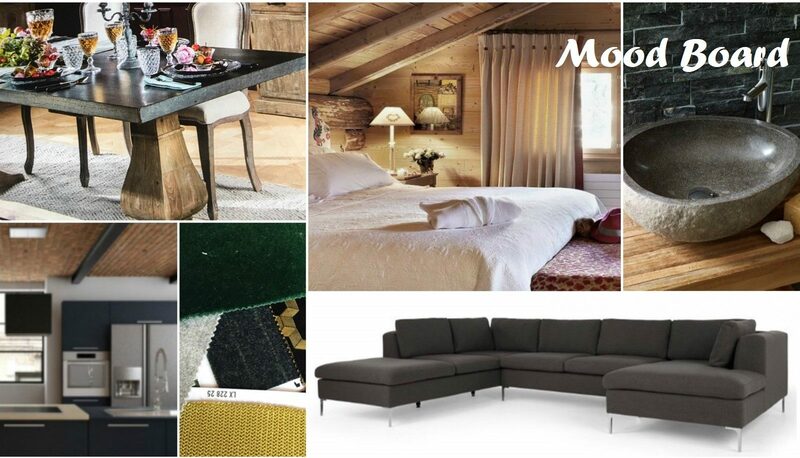 Just like the lower floor, this apartment will be completely renovated to luxury standards. 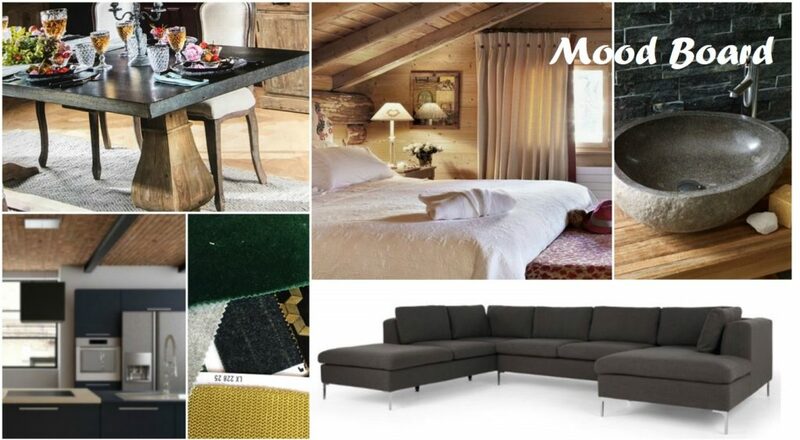 We have included some images of the lower apartment in the gallery to give you an impression of the styling. There will be a huge open plan living area with double height ceilings and bi fold doors right across the south facing facade. There are views to the Pleney slopes and Nyon mountain. 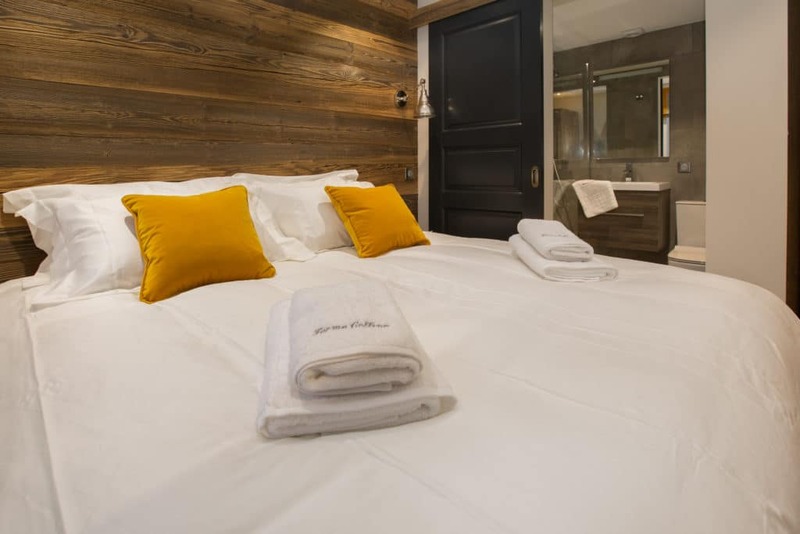 The other side of the building has bedrooms with balconies facing Avoriaz, so this apartment gives you every view in town whilst being right in the heart of the action. The apartment sleeps 12 in 5 bedrooms. There is a family suite with a large ensuite bathroom plus a separate bunk room. Three of the bedrooms are ensuite whilst 2 share a family bathroom. The open plan living area boasts a wood burner and generous dining and comfy seating. 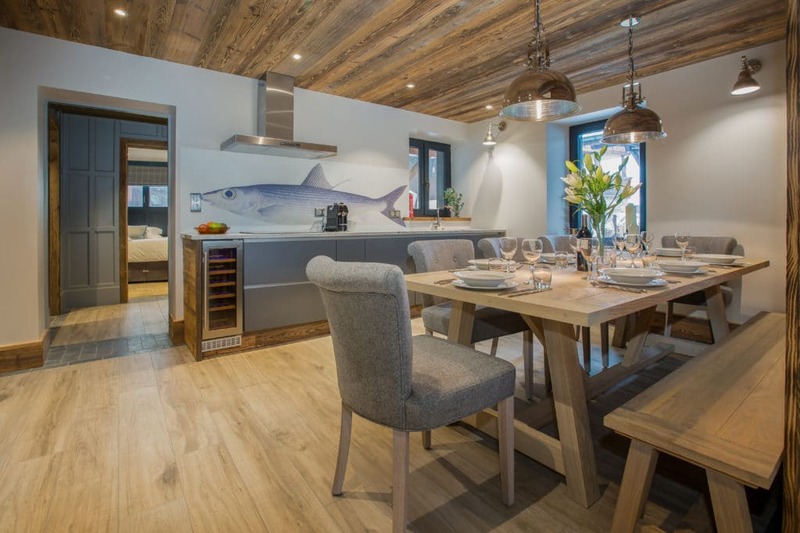 The modern kitchen is large and has everything you would expect in a self catered rental including a dishwasher, coffee machine and wine fridge. There is Wifi throughout and a SMART TV with UK cable. The apartment will have a boot room with warmers and ski racks. There will be private off road parking for 2 cars. The apartment has its own private entrance and is completely separate to the lower floor. This is the perfect chalet for those who want to be right in the centre of town, whilst enjoying a beautiful place to relax in. 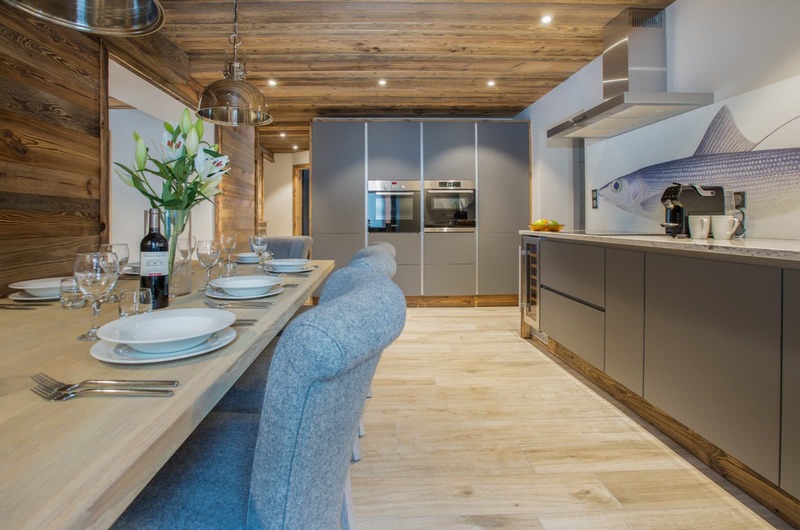 If you have a large group then then Ferme Colline D’En Bas (the lower apartment) can be booked at the same time. Allowing for up to 19 guests across the two apartments. One of our team will meet you on arrival at the apartment and make sure you feel at home. You can start your holiday as soon as you arrive with a glass of wine from our generous welcome pack. 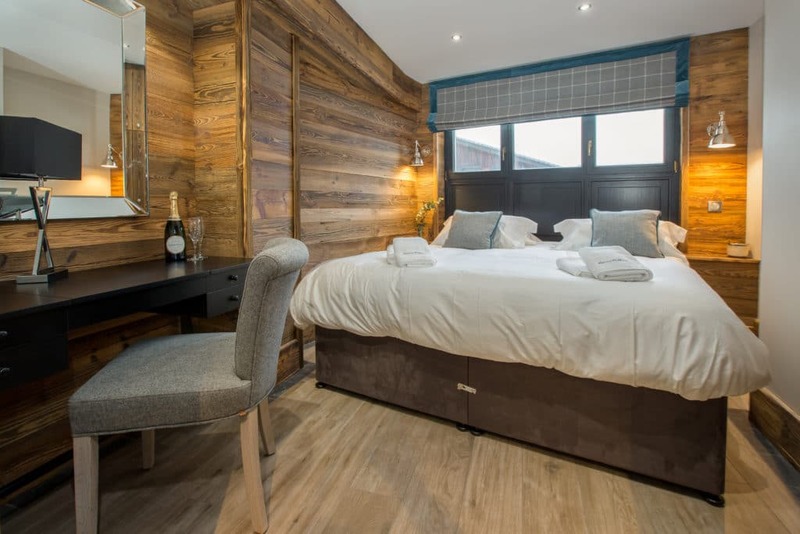 We can arrange for your ski passes to be at the apartment and your skis and ski boots can be fitted in the boot room. Our concierge service can arrange anything you would like to make your holiday perfect from chefs and housekeeping to wine and grocery deliveries. Bedroom 3 – Super king bed or twins, storage. This room shares a shower room with bedroom 5. Bedroom 4 – King sized bed, ensuite shower room, skylights and storage. Bedroom 5 – Super king bed or twins , skylights and storage. This room shares a shower room with bedroom 3.